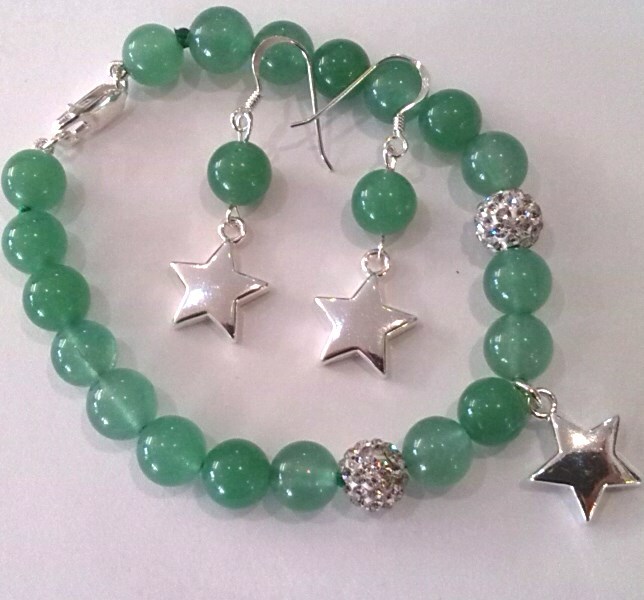 Delicate green aventurine jade paired with gleaming silver and sparkling crystal pavé. The traditional claw clasp is in .925 Sterling silver and the stars are a high-quality silver alloy that keeps its shine heavenly and the price down-to-earth. A choice of lengths is available. Please choose from the options above. Your jewellery will arrive in a pretty and practical draw-string pouch or a gift box, at no extra charge.